Sustainability is meeting the needs of the present, without compromising the ability of future generations to meet their own environmental, economic and social needs. For all communities, the challenge of sustainability is to consider future generations in the decisions we make today.Decisions which deplete natural resources or produce waste beyond the regenerative capacity of the planet may jeopardise future generations' ability to enjoy this planet as we currently do. In 2012, Council developed an Environmental Sustainability Action Plan (ESAP) which details Council’s targets and commitments in relation to five key priority action areas (energy & emissions, water, biodiversity, waste, transport). Read the Environmental Sustainability Action Plan. Note: On 26 April 2016, Council adopted a revised suite of targets for each of the five action areas. These new targets are shown below. Read the Council report containing the rationale for the target revision. Stormwater harvesting or rainwater harvesting systems installed on all major council assets by 2025. In order to track our progress towards these targets, Council reports our achievements through our annual report, supported in the last three years by an annual environmental report card. View our annual reports and environment report cards. The Woollahra Biodiversity Conservation Strategy is currently being finalised, following public exhibition in July/August 2015. The Strategy contains a range of objectives and targets for biodiversity conservation in addition to those listed in our Environmental Sustainability Action Plan, and a list of prioritised actions for Council to implement. All plans and strategies undergo a process of public consultation to allow the community to have input into the way our extensive natural resources and spaces are managed. Sign up to our bi-monthly Our Environment e-newsletter to stay informed about environmental news and upcoming consultation opportunities. 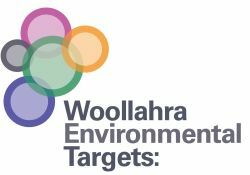 In June 2009 Woollahra Council established the 'Ecological Sustainable Taskforce' to provide additional strategic guidance to Council on environmental and sustainability issues. The Taskforce assists Council to integrate environmental sustainability into Council policy, plans and operations in our key priority action areas. The Ecological Sustainable Taskforce is made up of five Councillors with a Chair appointed by the Mayor with advice offered by Council staff and other external experts as required. Council has reported on our local environment for many years. While these reports are no longer created (due to the above plans and policies), they serve as helpful historical records of the challenges facing our local environment over time. State of the Environment (SoE) reporting enabled councils to report on the state of the environment in their local area and the progress of environmental activities undertaken during the reporting period. SoE reporting was a statutory requirement under the Local Government Act 1993 (LG Act) up until 2012. Every council in New South Wales was required to prepare a SoE report as part of its reporting obligations.